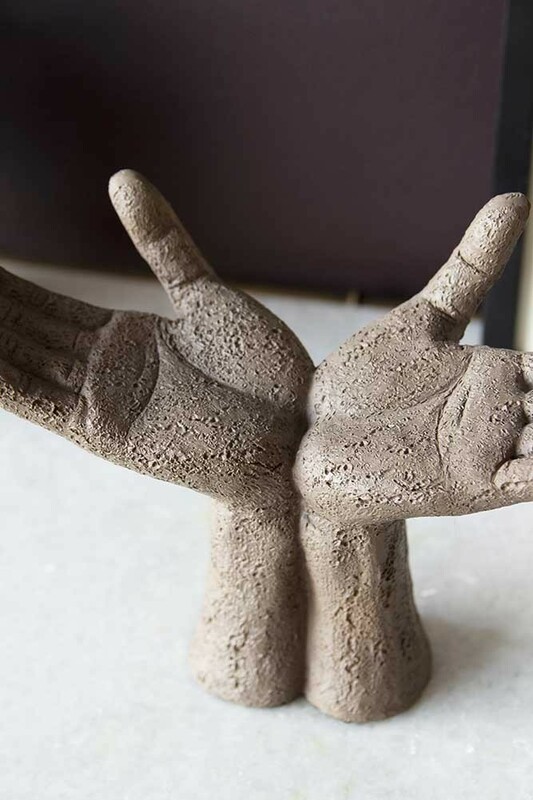 The Distressed Stone Effect Open Hands Ornament reveals a welcoming design that will complete any display space in the home with refined, rustic style. Measuring height 18 x width 9cm x length 27cm, the open hands ornament is crafted from polyresin with a realistic stone effect finish. Spotted by Jane and Lucy, the stone hands ornament brought back memories of blessings in Bali and captured a theme of mindfulness through the simple design and organic textured surface. 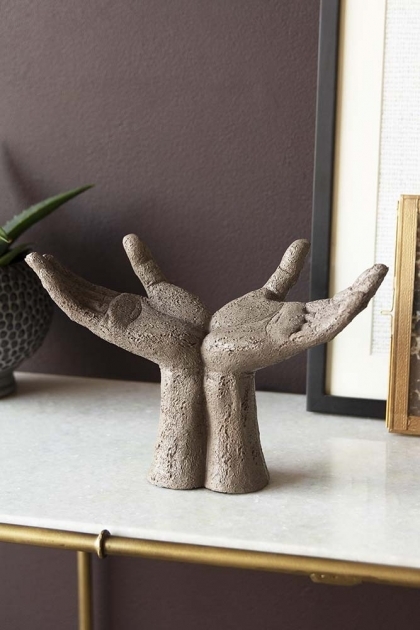 Featuring two hands brought together and raised in a peaceful pose, the open hands ornament creates a modern, affordable alternative to classic sculpture and is perfect for introducing a sense of calm and creativity to the home. 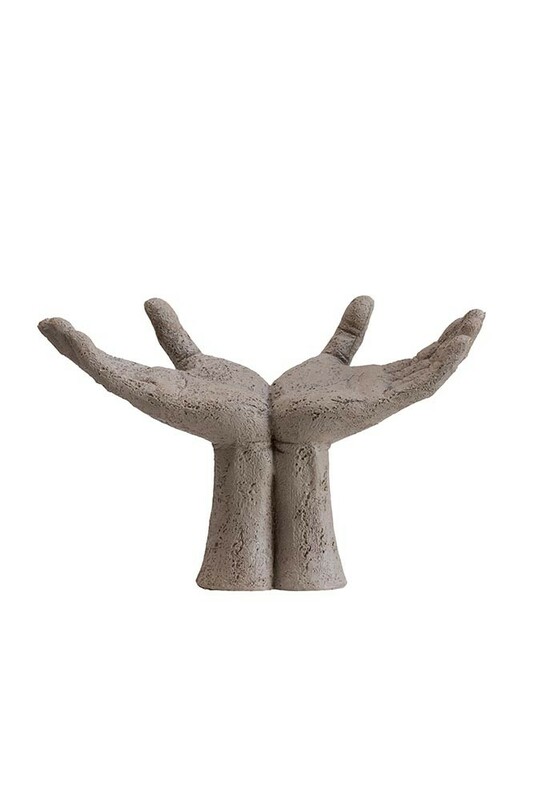 For the ultimate statement, pair the open hand sculpture with the bold Distressed Stone Effect Fist Hand Ornament. The options are endless but one of our favourite spots for the Distressed Stone Effect Open Hands Ornament has to be by the front door, placed on an elegant console table to welcome you back home in style! A beautiful display piece in any setting, the open hands ornament also happens to look amazing when styled at the side of your mantelpiece or as a focal piece on a bookshelf accompanied by glossy magazines and stacks of stylish books.